Who else can compete with your magical voice and marvelous personality? Elvis, you’re an everlasting prince who brightened the world of rock and country music. In fact, I had not even been born to this world when your popularity hit the fans in 1960s. But, the way I began to be a fan of you is an amazing story. One evening, in my childhood days, I happened to discover a big magazine in my mother’s book shelf. It had a lot of black and white photographs of a man and lengthy descriptions followed each and every snap. The tall, handsome figure of him grabbed my heart tightly even if I had been just a small girl of 6. He seemed to me like a brave prince who performed heroic deeds in a bedtime story my dad used to tell me. I needed to know more about him. “Mom, who is this man? He seems so elegant!” I asked my mother. She smiled and patted on my head. “He is Elvis Presley, the king of rock music of our time.” She said happily. I had known that she had been a big fan of Elvis for all those years. And from that day onwards, I too became obsessed with a huge Elvis mania. Elvis was born to a poor couple named Vernon and Gladys Presley, in Mississippi on 8th January, 1935. He graduated from Humes High School and had the influence of the church at large. It resulted in his coming to the field of music. He began his journey as a musician in 1954 in connection with Sun Records. His songs were widely popular in every nook and corner of the country. During his music career , he has won 14 Grammy awards. Later he stepped into film industry and became famous in that field too. ‘Love Me Tender’ is one of his most favorite films that thousands of fans became crazy at. But, in spite of being such a grand celebrity, he was so humble to show his gratitude to his motherland by joining the U. S. Army. What I most adore in him is the way how he performed and the unbreakable personality he exhibited on the stage. His smile is like a bright ray of sunlight. His unique features and attractive behavior unquestionably make him the king of rock music. That gloomy day arrived on August 16, 1977. The news reporters, press and the whole world were bewildered at these words. 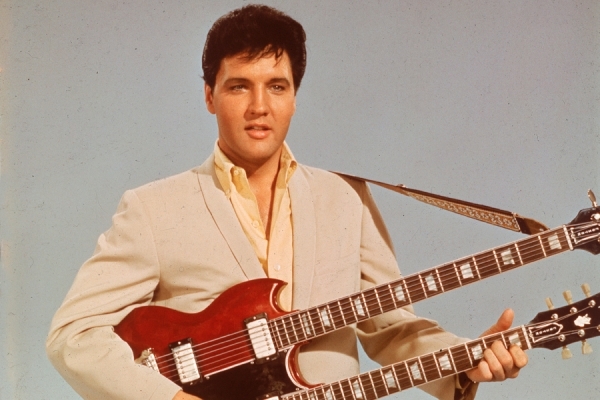 ‘The rock king, Elvis Presley is dead.’ It was an incredible news. ‘Is this a dream?’ People muttered with tear-filled eyes. But, unfortunately, it was the truth. Elvis, just as thousands of other people in this world, has faced the bitter reality of life. Since his death, many rock and pop stars rose up and set. But, no singer was able to win my heart just as Elvis did. He still lives in people’s hearts as an eternal icon of music. Even today we hear critics speak highly of him and his works of art. Elvis you are eternal! Elvis we love you forever!! !